Phew is it hot in here or is it me ? bet you have said that a few times while standing in front of an open window fanning yourself like a lunatic to no avail ! I swear I thought my Mum was just a drama queen when I was younger, ( sorry Mum ) watching her clutch at the neck of her jumper as though she were about to pass out glowing a fabulous shade of Fuchsia. I have since learned that this is no joke, having an internal heating system turned on inside your body for no apparent reason and literally feeling your insides boil up is REAL !!!!!!!! Night sweats are REAL, damp Hair is REAL, the panic of being in the shops and needing to run out is all REAL. I was contacted by Promensil to try out their Menopause Cooling Spray , they are going to hate me for saying this but I really did think, Oh another can of Evian mist, been there done that, got the wet nightie ! But NO, this little spray is somewhat of a revelation, it has rapid evaporation technology so you are not left looking like a hot wet fish. With an almost menthol fragrance this little spray really does work in an instant, mind your eyes though, my first time round I got over zealous and had it drip in my eye, one good thing was that it took my mind of the flush for a few seconds LOL. Seriously- a quick spritz and you feel a massive sense of relief, so much quicker and way more discreet than those silly handbag fans. Promensil also do a tablet supplement featuring Red Clover Isoflavones for menopause relief from the inside, I have not tried these. Hello, I found your blog by chance, yes really a chance. This is not everyday that one find a blog not written by young women urban in their 20's.... I apologize, english is not my first language. This blog post also is like a bit of (fresh) air saying that no, menopause is no taboo but natural and we need all the focus and help and understanding as we can. Keep the blog posts going please even though you may sometimes feel a bit like speaking and writing in the desert (like a preacher???!!). Being 50's or 60's or older is no less gorgeous and interesting than being 20 or 30! Be happy with ourselves. Thanks again. Thank you for this blog post! I found your blog by chance through the Ilia post and reall thought it was like a god send! It is so rare to find a blog for over 50's women, I would love to have that in my country. I apologize in advance, english is not my first language. 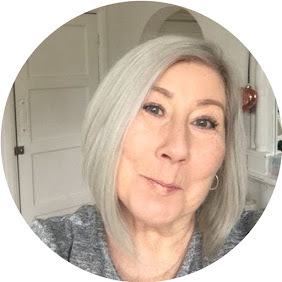 I particularly appreciate this blog post as it is so honest and against all taboo: menopause is not a taboo but something we have to go through as part of our lives and so? I am happy to be living in the first place! Being 50 and over is no less gorgeous than being 20 or 30, let's be proud an happy of what and who we are. I am sure that, when I am 50, or over, I won't feel less worthy than before. Changed that is true but still learning and loving. Thank you. Keep the blog going please, don't give up! You are not alone. Also your English is perfect.